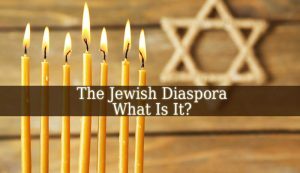 The scattering of Jews outside of the land of Israel is known as the Diaspora. The diaspora of the Jews from Israel is the exile of Israelites, Juhadits and Jews from from their homeland. And then settling them down in different parts of the globe. The Israelites left Israel around 800 BCE. And the Judahits left from the Kingdom of Judah around 600 BCE. The diasporic communities of Jews were established early. Even after the first exile of the Israelites and Judeans. Then the expulsions of Israelites by Assyrians and Judeans by Babylonians only made those communities bigger by sending more and more Jews into exile. These migrations were not only voluntary. But also forced. Through the Middle Ages, some Hebrews tried to migrate back from Egypt to the Land of Israel. But The Roman Empire sent the Jews again into exile. At least those who succeeded the migration back to Israel. With all these exiles, the Jewish communities started to spread from the Middle East to Europe and all over the globe. Also, do you want to know How Did The Balfour Declaration Contribute To Tension Between Jews And Arabs? or How Did Judaism Differ From Other Religions Of Ancient Times? Theodor Herzl established this movement for the Jewish communities. To help Jews to get back to Palestine. It also has as focus the establishment of a Jewish independent state there. This independent state and the migration of Jews happened at the end of the 19th century. But the biggest part of the Jewish population remained in diaspora. Those who finally got back to their homeland started facing difficulties due to anti-Semitism, persecutions and difficulties during the assimilation. Although Zionism was not a popular movement among the Jews. It gained more and more attention after the WW II. And raising of Nazism. Which is not surprising. Because all the pain and suffering caused to Jews during WW II woke many of them up. And the ideology of the Zionist Movement became not only appealing. But also indispensable for Jewish survival. The history of the Jewish diaspora is really vast. And it is still not over. The Jews are in diaspora for thousands of years. Some voluntary, others forced. Either way, many of them have their own lives in the foreign countries and diaspora communities. But most of them still dream about establishing a peaceful Jewish independent state in Israel. Previous Who Are The Watchers In The Bible?